With her white, wispy hair and smiling eyes behind delicate glasses, 92-year old Phyllis Thelen looks every bit the great-grandmother that she is. But she's got a biting sense of irony. If you step into her San Rafael art studio, one of the first things you notice are the 12 wooden globes up on a high shelf. They're big -- the size of soccer balls. 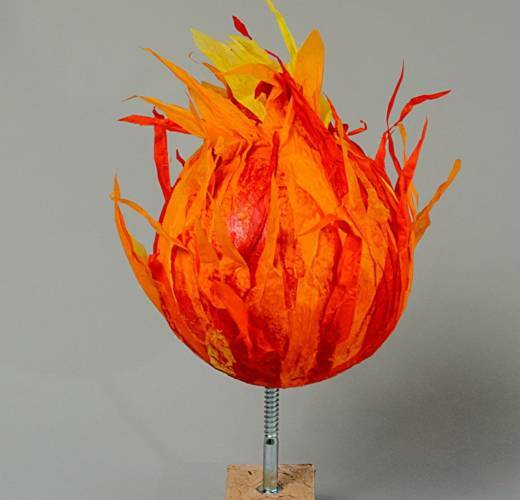 Each globe is covered in something representing the various ways humans are despoiling the planet -- homes, flames -- and sits atop a silver screw, screwed into a wooden block. Phyllis calls her collection "Planet Earth Screwed." This is Phyllis Thelen's moment. I don't paint flowers. I don't do the usual beauty that most people think about. I look at the wrinkles in a piece of bark, which has a really attractive look that nature did herself. I like to look at pieces that fell off of trees and plants that are dead -- totally dead -- because they are dry and I can keep them looking that way forever. And -- being my age -- I also like the idea that the old and dried up things are still beautiful. I'm a person who's inclined to see a need and fill it, not just scream at it. So it's natural for me to make this art that somehow addresses these issues. So I've seen a lot in the last 92 years that make me very aware of how things are changing here. One of the biggest changes came when we saw a picture of Planet Earth from the moon or one of the rockets. Beautiful little orb there swirling in the blue with green and blue -- and it was maybe the first time that I really had a picture of how we looked from afar. And I began to think of it as such a vulnerable, little thing out there. And I began to think about the smog I remembered. I began to see it covered in soot. And I began to think about the plastic floating in the ocean. To look at this beautiful blue globe and see big blobs of plastic -- bigger than California -- blew my mind. I couldn't imagine. I couldn't think of looking at the planet anymore without seeing smudges and smears and terrible things. So I made 12 globes showing what happens when you do something like that. That's why these planets are screwed into a stand to hold them. It's obvious they're on a screw. And I really feel that that's what we're doing. It's us; it's not anything else. It's not just nature. Nature's reacting to what we are doing. We're making it more and more difficult for the Earth to function the way it is intended. The world can be unscrewed the way it is now. I think we have gone a long way into messing things up and it's going to take drastic work. And maybe if we all did one thing we felt might make a difference, we would find it really did makes a huge difference. It's just a matter of deciding to be a partner in this with nature in this whole struggle to keep our Planet Earth looking the way it used to look from afar." 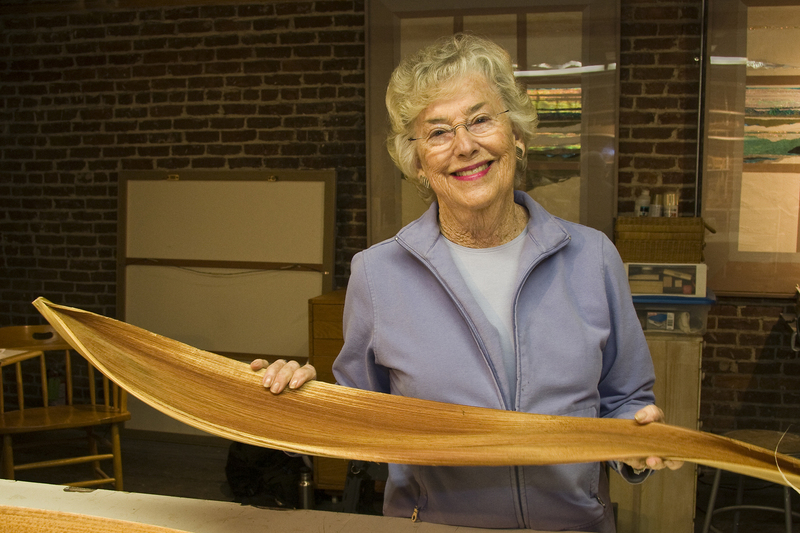 Phyllis Thelen is an award-winning artist in San Rafael. She's a mother of four, grandmother of 12, and great-grandmother of seven. Becky Hoag reported and produced this Moment.